CHARLOTTE AMALIE, St Thomas USVI — US Virgin Islands (USVI) Superior Court Judge Denise Francois has sentenced 2012 Senate candidate Riise Richards to a one-year prison term for embezzling public funds when she worked as the director of the Planning and Research Division in the Virgin Islands Police Department, the VI Department of Justice announced this morning, January 12, 2017. In September 2004, Richards, 58, of Prindsens Gade, was arrested on 12 charges, which included obtaining money by false pretense, fraudulent claims against the government, grand larceny, and embezzlement of public funds. On February 10, 2006, following a jury trial, jurors convicted Richards of grand larceny and embezzlement by public and private officers. However, when she faced Judge Francois Wednesday afternoon, she was sentenced only on the embezzlement conviction. At her sentencing hearing, Richards told the court that she made a mistake. “There was no intent for me to defraud a government I worked with for the past 25 years,” she said, while asking the court for mercy. In his allocution, Assistant Attorney General John Tolud told the court that this case eroded the public’s confidence. “This was a violation of the public trust; a breach of the public trust,” he said. Judge Francois then handed down her ruling, committing Richards to the Bureau of Corrections for one year with all suspended. Judge Francois also placed Richards on supervised probation for one year, ordered her to pay court costs and fees and perform 100 hours of community service. 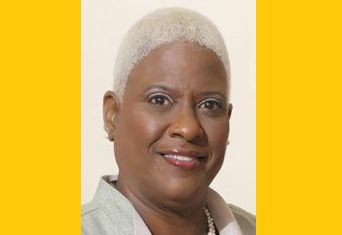 According to an affidavit filed by Nicholas Peru, special investigator with the USVI Inspector General’s office, Richards requested and received several false cash advances from the travel account of the Planning and Research Division for travel expenses for a woman who was not employed with the VIPD. Next time she will think before she decide to put her hands in the cookie jar and helping herself without asking. She is a greedy, stupid, ignorant IDIOT! 25 years down the drain for her pension. 25 years seeing others doing the same thing and she thought she would not get caught? She doesn't deserve any pity...THIEF! She was not jailed, she was convicted but she received a suspended sentence with conditions. When will the BVI follow suit? Why these thieves in the BVI are not jailed for squandering the people's money like it's theirs. Every place on earth where governments behave like they do here in the BVI, are convicted and jailed. "In September 2004, Richards, 58, of Prindsens Gade, was arrested on 12 charges..."
"On February 10, 2006, following a jury trial, jurors convicted Richards..."
"US Virgin Islands (USVI) Superior Court Judge Denise Francois has sentenced 2012 Senate candidate Riise Richards to a one-year prison term for embezzling public funds when she worked as the director of the Planning and Research Division in the Virgin Islands Police Department, the VI Department of Justice announced this morning, January 12, 2017." Am I missing something? Arrested in 2004... Convicted in 2006... Ran for Senate in 2012... Sentenced in 2017???? @Slim Jim. Giving her enough Rope to hang herself, and she certainly did it to herself. Wa a ting! Greedy fast hand Sue, then asking the judge for mercy. 25 years and she blew it. So lady you wasted your time working for all those years.